I never thought I'd be able to say this: Starpoint Gemini 2 is a victim of bad timing. 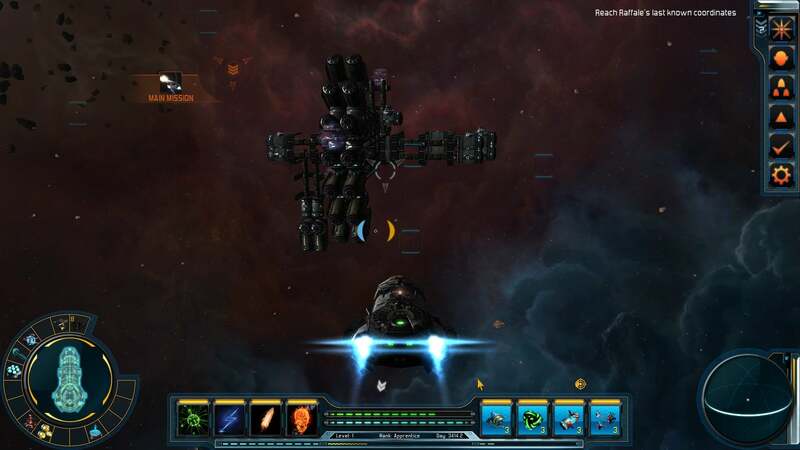 Five years ago—hell, two years ago—the space sim genre was more empty than the cold vacuum of space itself. Occasionally a lone title ventured into that frontier again, but it was rare enough that Freespace 2 (a game from 1999) was still one of the titles recommended most. Had Starpoint Gemini 2 somehow tumbled through the void to land on my computer back in those days I would've called it a miracle. And yet in 2014 the space sim is (to my complete surprise) alive and well—so alive and well that I've even looked into joysticks again. 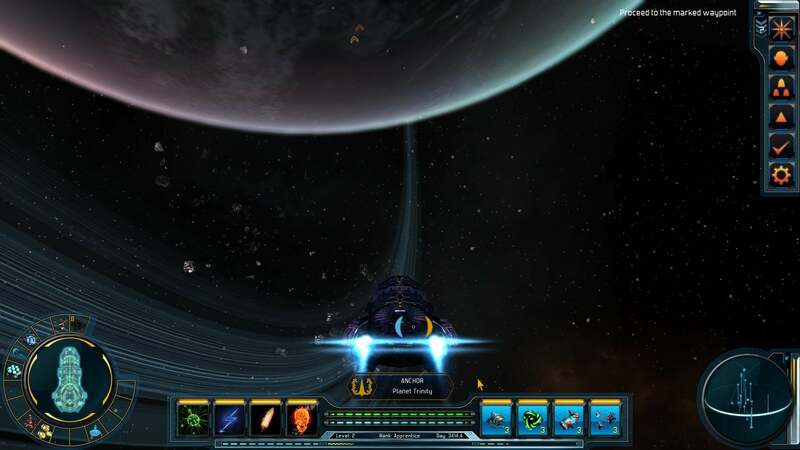 In this time of plenty, Starpoint Gemini 2 feels like a holdover from the past. That's not enough to hold my interest anymore. 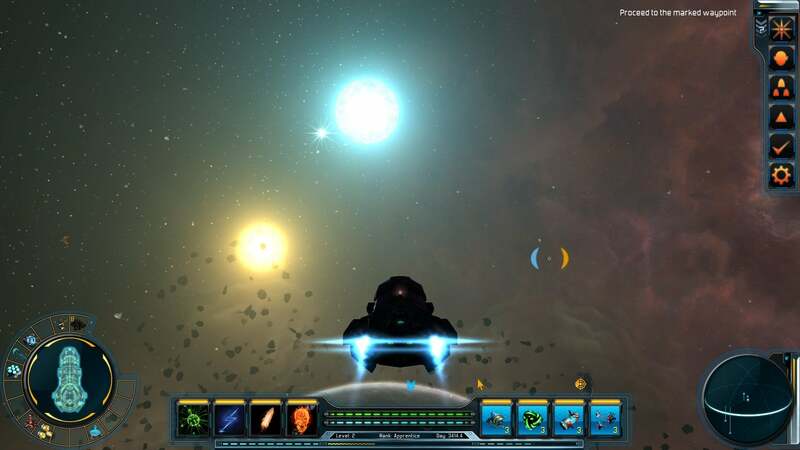 Starpoint Gemini 2 is basically a modernized version of Freelancer. There's no reason to beat around the bush here. There's a campaign (more on that later) but most of your time is spent exploring a fairly large space-sandbox. You'll encounter various factions, mine some asteroids, dogfight, ride through a few wormholes, and mostly sell garbage to space stations so you can make money to buy new ships. You can also make money by picking up various freelance contracts. Some task you with destroying random ships, while others have you scanning anomalies or ferrying people between two distant points in space. There's certainly a Zen sort of calm gained by flying around Starpoint Gemini 2. You can completely blow off the campaign and play in freeroam mode, which tasks you with basically imagining your own story as you fly around the universe. Even doing the campaign, however, you'll spend most of your time aimlessly wandering the galaxy and picking up odd jobs. It's relaxing. 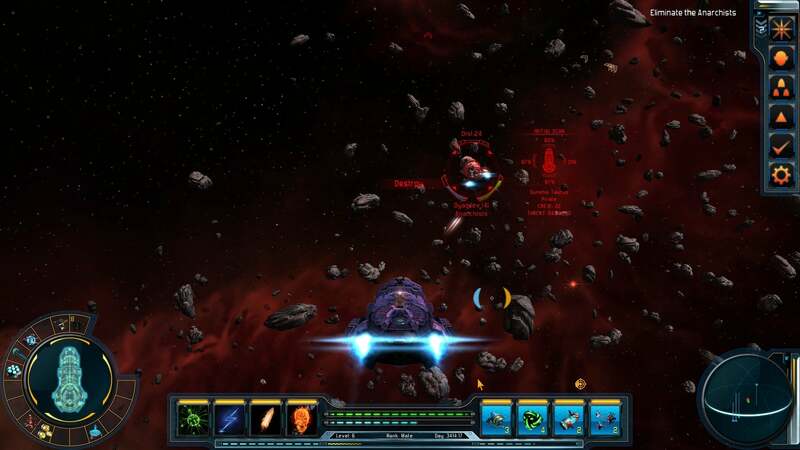 I spent many hours of Starpoint Gemini 2 with a cup of hot tea nearby, classic rock or folk music playing in the background (the in-game soundtrack wears out its welcome pretty fast), watching my ship crawl across the stars from the camera's remote third-person view (Tip: Hit F11 to hide the ugly user interface). But it's ultimately an empty sort of experience, and not just because space is vast and cold and indifferent to humanity. Exploration should be a huge draw in this game. The playable space is nowhere near the size of Elite: Dangerous's crazy recreation of the entire Milky Way, but there's still a ton of space to putter around. There's nothing out there though. That's the feeling I get after hours and hours of Starpoint Gemini 2. The universe is lifeless. There are factions, but they don't interact with you in any meaningful way. Your reputation is a linear scale that shifts between lawful and unlawful. You can sort of "write your own story" across the universe, but there are only so many stories that can be told with the limited actions at your disposal—basically pirate or do-gooder, rugged ruffian or peaceful trader. There are dozens of factions, but after hours with the game I couldn't tell you what any of them stand for. There are just people who like me and people who don't—no readily accessible lore to tell me why the Empire hates me but the Iolian Pact thinks I'm a pretty okay dude. Freelance jobs quickly become repetitive, without even a veneer of flavor text to distinguish one from the other. Every "Assassination" mission, for instance, features the same exact text—"[Random Name] wanted dead or alive! [Random faction] willing to pay compensation." That's it. No explanation of why [Random Name] is wanted by [Random Faction] or any other flavor text that would, you know, actually get you invested in this side content. There's no reason not to do the missions, since they're short and pay well, but there's also no reason to cheer when your opponent's ship is finally engulfed in flames. Even the environmental discoveries are lackluster. The first time you encounter a wormhole it's exciting. The second time it's sort of expected. The third time you start to wonder why there are so many wormholes in this universe. New planets and new space stations are largely interchangeable, outside of the specific items they're trading. As I said, it's not unenjoyable. I spent plenty of time floating around space casually dogfighting and exploring parts unknown, blowing up asteroids for easy money and capturing ships for slightly-less-easy money. But outside of the campaign there's not much in the way of lore, of tailored boutique content, that would get you invested in your ship and your character and your role in this galaxy. You're upgrading your ship because the game's central treadmill requires upgrading your ship. 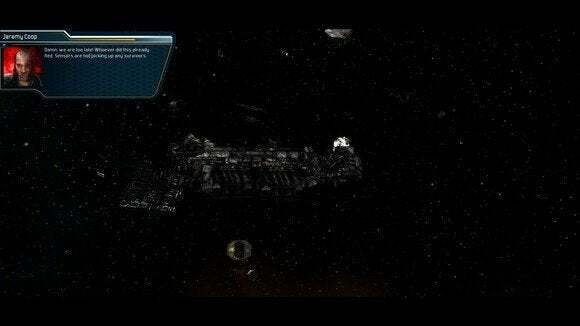 That brings us to Starpoint Gemini 2's campaign content. Simply put, it's not very good. The story itself is okay, in a generic space opera way—you play as the last surviving member of the Faulkner family, part of the legendary Gemini League. Your dad was killed off in suspicious circumstances, and it's up to you to track down the threat facing the universe. 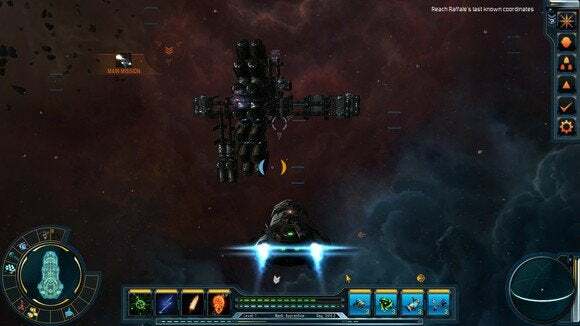 Starpoint Gemini 2's effort to tell this story is hamstrung by poor voice acting and scripting, however, not to mention some extreme swings in difficulty. Accents are all over the place, some characters talk about the end of the universe with all the passion I'd muster for the technical specs of a light bulb, and it all combines to disrupt any sort of emotional punch the story might otherwise have. 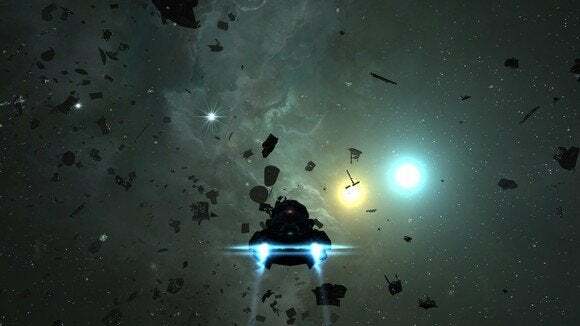 It's a shame because the underlying lore of the Starpoint Gemini 2 universe is (if you dig outside of the game) pretty fleshed out and fantastic. None of that comes through in the game itself though, whether pertaining to the main story or the environment or the political machinations of the galaxy. It's actually frustrating because Starpoint Gemini 2 feels mechanically like a framework for a great game, but outside of the central stat-grind treadmill the content is missing. I like space and I like space games. That was enough to make me enjoy Starpoint Gemini 2 for a while, even with its clumsy (not to mention outdated-looking) UI and broken tutorials and awkward save system. Starpoint Gemini 2 is not a bad game. It's pretty, and you can spend hours upon hours aimlessly flying through empty space completing odd jobs and even completing the campaign if you can bear the acting. But after a while the emptiness got to me. The silent, unknowable factions got to me. Space is huge and dead, but that's not what makes it interesting—it's the pockets of life, the little unique moments, that make it worth exploring. Starpoint Gemini 2 just doesn't have a lot of those.